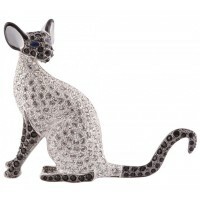 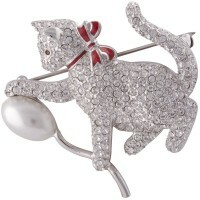 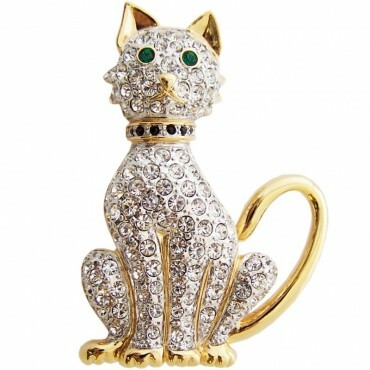 Set with green Austrian crystals for eyes, this cat brooch makes a wonderful collectible gift for any cat lover. 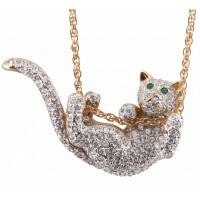 Crafted from gold plated metal alloy, this sitting cat brooch has been meticulously set with clear and green Austrian crystals. 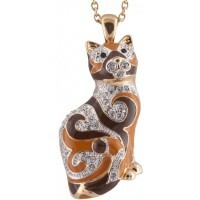 With striking gold coloured features, this sweet little companion would look stunning when worn on any bag or outfit.